John Loughborough Pearson was born in Durham on the 5th July 1817, the thirteenth son of William Pearson, an etcher and watercolourist. He was a pupil of Bonomie, the architect of Durham Cathedral and began a London practice in 1843. In 1862, Pearson married Jemima Curwen Christian who bore him a son, Frank, in 1864. Unfortunately, Jemima died soon after and this event is said to have increased Pearson’s natural reticence. Pearson was heavily influenced by the Victorian Gothic Revival, and rejuvenated Gothic architecture which had not been fashionable since the Middle Ages.During the early part of the Revival, medieval architecture was only imitated and Pearson produced the greatest piece of this era in his design for Holy Trinity, (Beesborough Gardens, London) which is now sadly demolished. During 1850 — 1860, Pearson took several holidays in France, Germany and Belgium and these European influences can be seen in St Peter’s Vauxhall. Pearson did not show these influences to such an extent in his later designs. Pearson produced his designs for St Alban’s just after completing the plans for Truro Cathedral. He was a modest man who, even after his success at Truro, was said to have stated that he, “would rather build one church well than attempt half a dozen indifferently.” Pearson received the Royal Gold Medal in 1880 from Queen Victoria and was Surveyor to Westminster Abbey between 1879 and 1897. During this time he was responsible for restoration, and the design of organ cases and monuments. 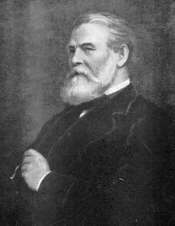 Pearson died on 11th December 1897 and was buried in Westminster Abbey. He left behind him a legacy of thirty one churches of cathedral-like dimensions. Pearson was renowned for his design of large Anglo-Catholic churches but his views of religion are not known. It is commonly thought that his designs were probably due to the pervasive influences of the Oxford Movement during this era. Continue to read about St Patrick's Church the other church in the parish, also designed by Pearson.